All the fighters slated to participate in tomorrow night’s “’UFC on FOX: Werdum vs. Browne” event will be tipping the scale today inside Amway Center in Orlando, Florida. The first athlete is scheduled to weigh-in at approximately 4PM ET/1PM PT. 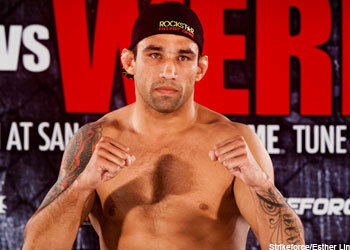 Fabricio Werdum (pictured) and Travis Browne battle for next dibs at the heavyweight crown in the show’s featured attraction. Former bantamweight top contenders Miesha Tate and Liz Carmouche meet in the co-main event.